Apparently, getting the Australia PR visa is so crucial for someone to be present here in this country forever. There are actually 2 ways to get this kind of sponsorship which can be via a 189 or 190 visa depending on how accessible this country is for you. The medium and long term strategic skills list(MLTSSL) is applicable for the 189 visa. This list consists of all almost 176 occupations which are highly useful for the economy of Australia. Thereby the government of Australia, has been doing its bit to get the people of other countries to work here. The candidate gets the authority to reside and work in any location of the country of Australia. Now, through this list, you can get immigration to the country to Australia only if you have accumulated 60 points. These points can be given to you for the many characteristics particular to you like your age, highest education and the experience. To prove yourself eligible for this visa class, you first need to pass the IELTS exam with flying colours. Now, how much score the exam of IELTS requires from you depends on how much points you are getting for the other categories. There in lies the main difference between 189 and 190 visa. The latter visa is for those who have obtained support in Australia from the state. The candidate has the authority to reside and work in the state which has supported the candidate for a duration of 24 months. The procedure for these visas is also quite different. Although the initial two stages are the same, which are, skill assessment for the education and the experience received in the native country and the second stage consists of putting up the expression of interest. Now, the 3rd stage is where the difference creeps in the procedure of both these visas. In the case of visa 189, the client will get his consent to make a petition for the permanent residency through the, department of home affairs, whereas in the case of the visa 190, such consent comes from the state which sends a state sponsorship called the notification of interest.After getting his state sponsorship, he then needs to make the visa application for 190. The visa 190 as per the first step, requires the candidate to apply to the website of a the Australian province such as http://www.migration.wa.gov.au/ and submit his specific expression of interest. That’s why, a candidate who is interested in immigration to a province should know what occupations are included in the western Australia skilled occupation list and a similar exists for every different state. What is the score band in IELTS needed to get PR of Australia? What is the Need for Immigrants in Canada and Australia? 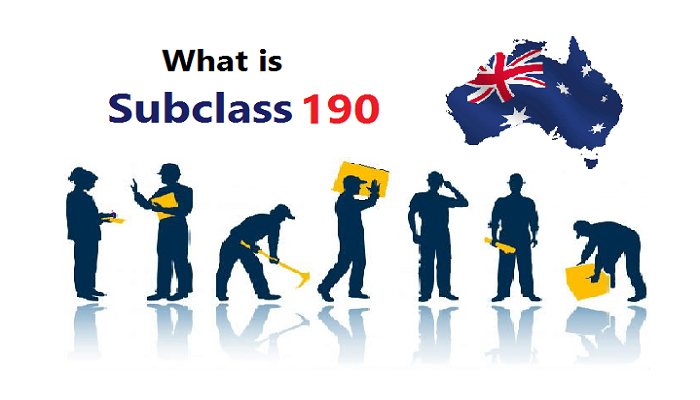 Australian immigration Australia pr visa, Difference Between Australia Subclass 189 and Australia Subclass 190. permalink.